Today I am very excited to share with you a project that has been in the works for a month or so. 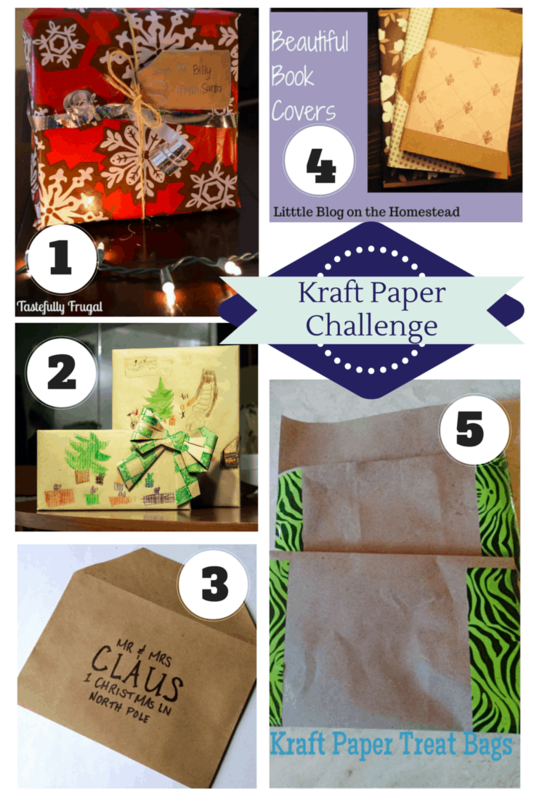 Four of my blogging buddies and I decided to take on the challenge to create a unique craft with Kraft Paper from the dollar store. You can find a big roll of it in the shipping section at Dollar Tree. I decided to try my hand at making gift tags after watching Polar Express for the umpteenth million time with my boys and seeing the bag of presents being hoisted on to Santa’s sleigh. I was going to try and make a paper maché star but who am I kidding; I’m not that crafty. I am pretty happy with how these turned out and will definitely be using these for all our gifts this year. Originally I wanted the font to be in white, but later realized you can’t print in white on home printers; and since I am all for this being an inexpensive project I decided to change the font to silver. And the best part is the price tag $1. Really it’s more like $.01 because I have enough paper left over I could probably make 5,000 gift tags! 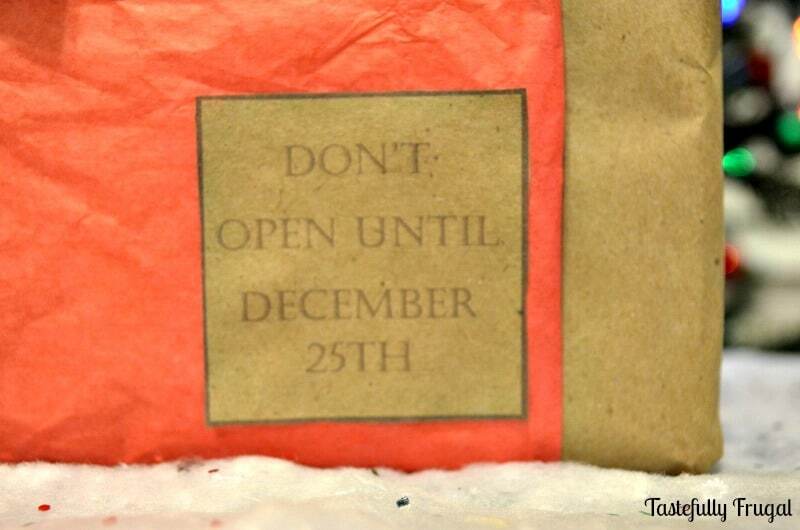 In Polar Express, I really liked the sticker on Billy’s box that said Don’t open until Christmas Day. For the stickers I cut out the tag and used a glue stick to attach it to the wrapping paper. 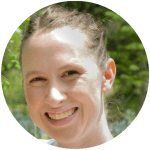 To make the gift tags and stickers you’ll first want to measure and cut out a piece of kraft paper that is 8 1/2″ x 11″ (the same size as standard printer paper). The paper will still have a little roll to it so lay some heavy books on top for an hour or so before printing to make it easier to feed through the printer. 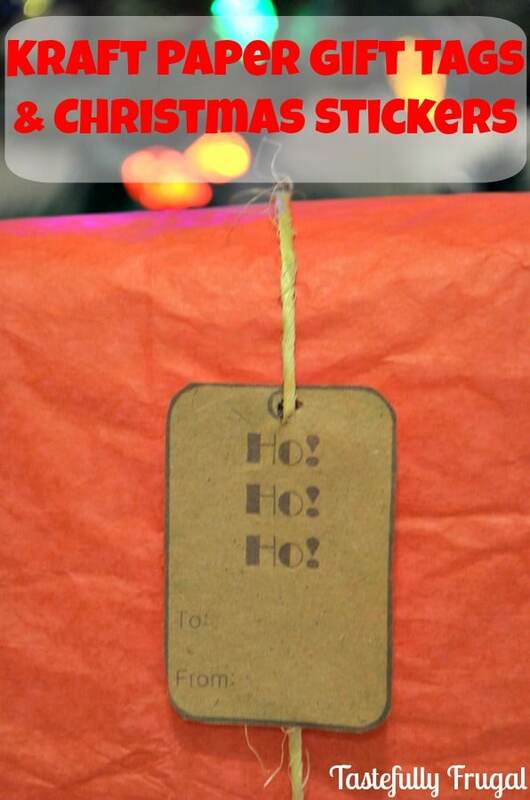 Then download either the Fancy Gift Tags or the Fun Gift Tags and Stickers or both and print on to the kraft paper. 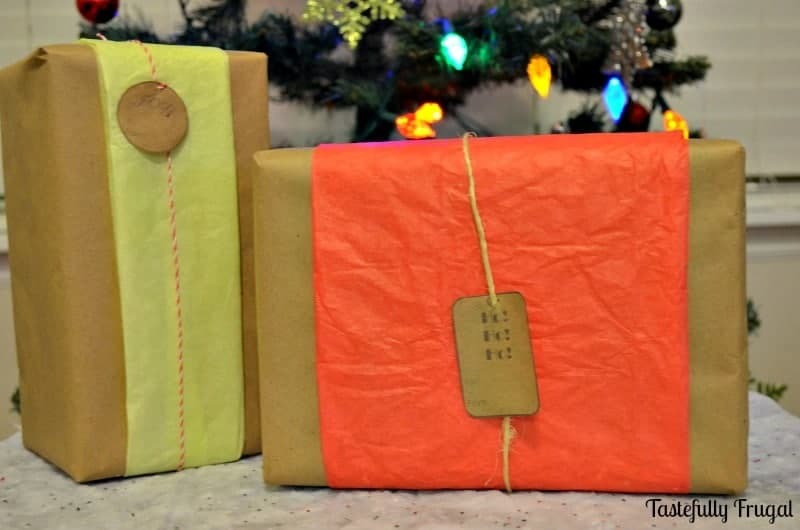 If you don’t have access to a printer, or would like to make something more personal you can create your own gift tags with Kraft paper and a silver Sharpie. Do you have a favorite craft that you’ve made with things you’ve found at the dollar store? I’d love to hear about them! And don’t forget to check out these five other fantastic projects below! 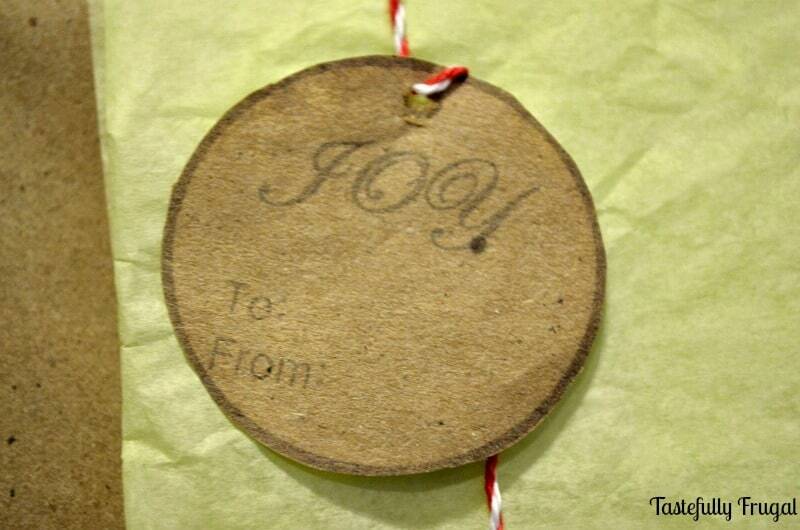 I love the look of the brown paper on Christmas gifts but had never thought to use the paper to make tags. I normally just write on the paper but your way is much lovelier. Ah thank you so much Micha! I’m so glad you like them. Your treat bags are wonderful too! These are absolutely beautiful! I love what you did with your kraft paper. I am definitely going to give these a try with my giant roll.